There are some really confusing articles on the web regarding the Apple Lightning to HDMI adapter. Endless discussions about whether the picture is either laggy or filled with video artifacts. Misconceptions regarding if it outputs native or upscaled 1080p, or if the iPad Mini can or can’t possibly mirror anything on a big screen TV. We’are going to dissect the whole thing. Read more if you’re interested in figuring out if the Apple Lighting to HDMI adapter is worth buying. 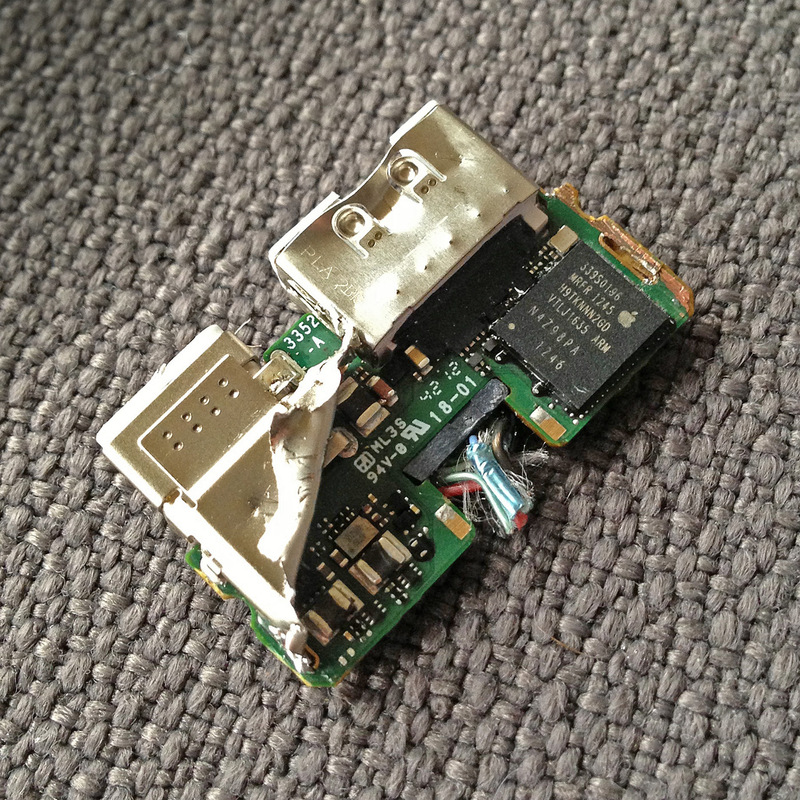 Apple Lightning to HDMI Adapter – A Huge Fraud? To start things, the Apple Lightning to HDMI adapter costs $49 on the company’s own shop. It’s not a lot of money, but 49 bucks is 49 bucks, and if it doesn’t work as the company claims, why buy it in the first place? The main issue with the Apple Lightning to HDMI adapter is that people have been complaining about it since it was released a couple of years ago. Users observed that the Lightning AV adapter didn’t send out 1080p resolution. The moment Video Mirroring is turned on, the system told the user that the maximum and optimal resolution it can output is 1600 x 900. Clearly, that’s not Full HD. Plugging the Dock Connector AV adapter changes things – a lot. The system now shows the maximum and optimal resolution of 1920 x 1080. So what’s the issue? Apple’s iPad Mini technical specifications notes that it supports video-out up to 1080p. How can this be possible if the system clearly says 1600 x 900? Are they upscaling the image to 1080p? The thing is, the Lightning isn’t capable of streaming raw HDMI signal. According to an anonymous source close to Apple the Lightning adapter is a serial buss, in essence. There is no clever or complex multiplexing involved. 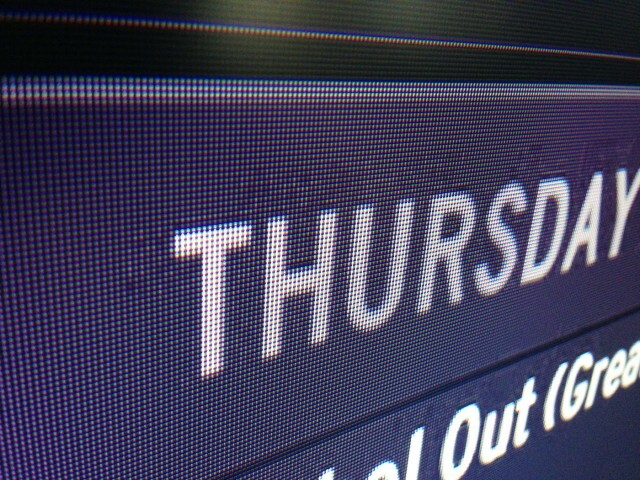 Another big issue found with the Apple Lightning to HDMI adapter is MPEG artifacts. Users expected a pin-sharp crisp signal without any video noise whatsoever. Mirroring your device onto the screen should be done without a hitch, right? Well, not really. As you can see, text has sharp edges and the picture is filled with tiny little artifacts – some of them are more noticeable in different circumstances. You don’t get these kind of issues while using the old AV adapter. In fact, the AV adapter seems like it’s actually better than the HDMI one. That’s frustrating to say the least. Frankly, these resemble issues that an user would encounter if he streams from an iOS device. The only sane theory that one could come up with is that the Apple Lightning to HDMI adapter is basically an AirPlay receiver – sort of. Video passes through the AirPlay-like video compressing system and it ends up upscaled. Dismantling the tiny adapter unveils even tinier components. As you can clearly see, ARM is written on the chip. The H9TKNNN2GD sequences showcases the adapter’s RAM – 2 gigs worth of power juice. This is really bad news. Regardless if it is indeed a miniature computer or not, streaming internally will forever output poor quality. 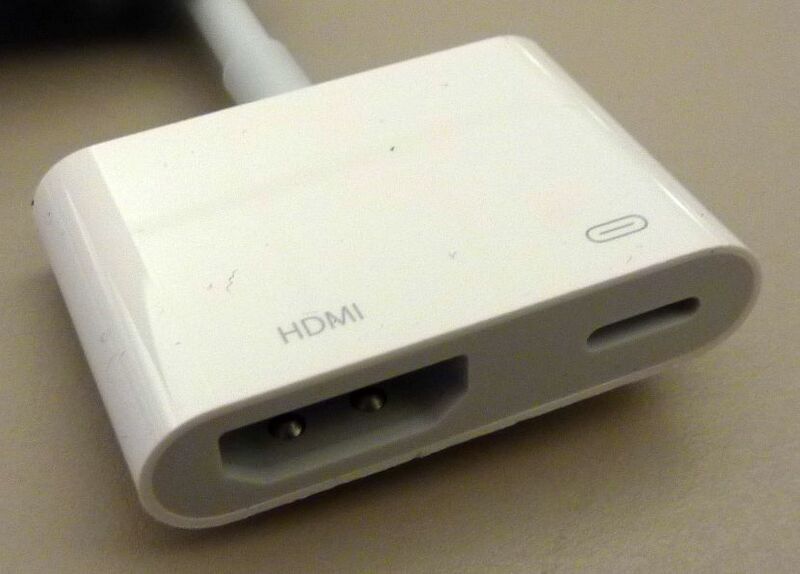 User that have bought the Apple Lightning to HDMI adapter are craving for raw and untouched HDMI-out. This, instead, offers upscaled 1080p. You could look passed this grievance if the outputted quality was at least constant. The same anonymous source continues to add that this adapter is actually just a high speed serial interface that uses a ton of h264 hardware encoding. The Airplay network protocol is not involved in the process of compressing or encoding. Yet, the anon assures the public that updates will influence how the adapter work. Considering that iOS 9 resembles a knight in shining armor, we expect the Apple Lightning to HDMI adapter to vastly improve. Still, it’s worth noting these grievances. The anonymous source says that with every new iOS update, the adapter will output better performance. The Lighting Digital AV adapter works with iPhone 5, 5C, 5S, 6 and 6 Plus. More so, it can be paired with the iPad Retina Display, the iPad Mini first, second, and third generation. It also can connect to the iPad Air and Air 2, iPod Touch 5th gen and 6th gen.
Now it’s time to just sit back and relax – Netflix and chill is the best way to deal with these kind of problems.